How Do I Extract Coconut Oil? 1 How Do I Extract Coconut Oil? Coconut oil extraction can be done through traditional methods or with help from modern machinery. Pressure, heat and motion are forces that are often used to separate the coconut oil from the white coconut meat. 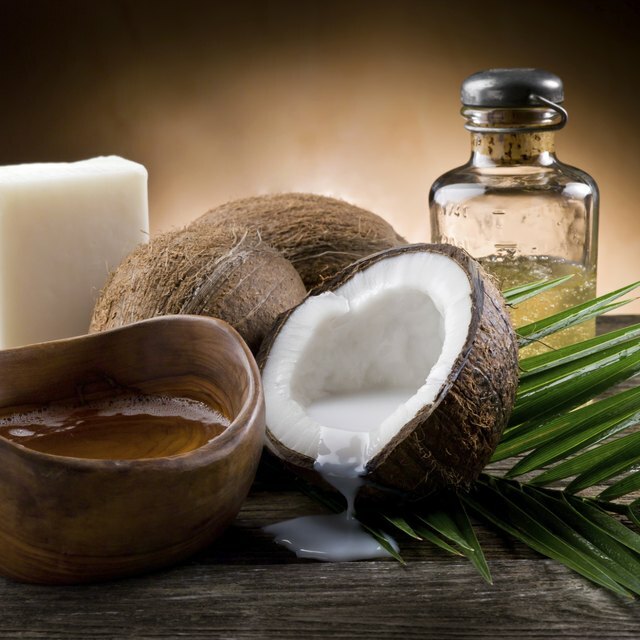 Depending on the type of extraction method used, the coconut oil extracted may be completely pure, or it may require additional refining processes. Using water to extract coconut oil is also known as aqueous processing. The first step of this method is to separate the flesh from the shell of the coconut. Next, the coconut meat is boiled in water. As the coconut meat cooks and softens, oils escape from the meat and are separated from the water; the coconut oil is skimmed from the surface and collected. The ram press literally presses the coconut oil from the coconut using blunt force. This type of press utilizes a heavy piston and metal tube that is able to filter out the coconut oil; once the coconut meat is loaded into a metal tube, a hydraulic jack is used to power the press into the meat and the oil is squeezed out from the tube and collected. Ram press coconut oil extraction helps to preserve the coconut oil in its raw state and does not require further refining methods. A mechanical centrifuge can be used to obtain virgin coconut oil, which is considered to be one of the purest forms. During this process, coconut meat is emptied into a machine which chops the meat into tiny pieces. These little pieces are placed into a light screw press and the milk is extracted from the meat; then, the remaining coconut is placed in a high speed mechanical centrifuge which rapidly spins the coconut. Through the spinning process, the oil is separated from the meat and collected. 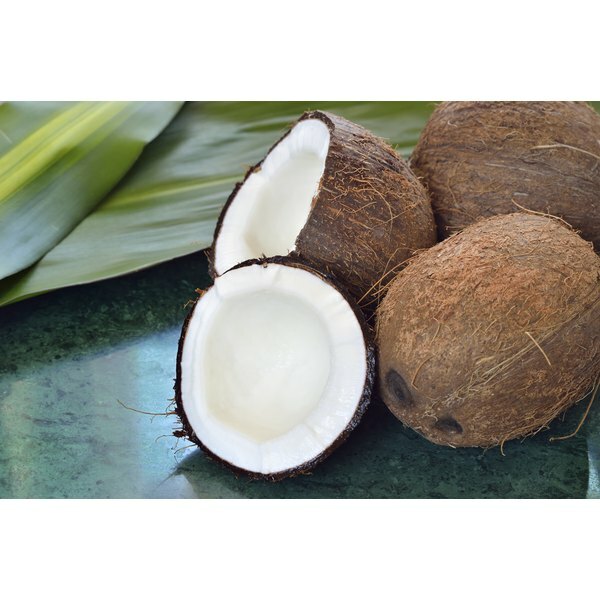 Mechanical centrifuge coconut oil retains a strong coconut taste and smell and requires no refining processes. Ghani coconut oil extraction is a traditional method that uses a giant pestle and mortar system to crush the coconut meat. Today, mechanized Ghani extraction systems are available, although traditional Ghani presses powered by donkeys or horses are still in use. While Ghani oil extraction results in a pure form of coconut oil, it is labor intensive and collects less oil than methods mentioned above. An expeller coconut extraction method uses a mechanized cylindrical barrel to create a pulverized version of coconut meat known as coconut cake. Heated coconut is placed into the barrel where a rotating metal rod is used to crush the coconut. This process helps to breakdown the constituents of the meat to prepare the meat for oil extraction. The last step in the processes uses a chemical solvent, hexane, to separate the coconut cake from the coconut oil. Refining is often necessary to cleanse the extract from the oil. What Is the Difference Between Coconut Cream Concentrate & Coconut Butter? Is Raw Coconut Good for Skin?